The Environmental Protection Agency (EPA) reported last week that a contractor working for the EPA on the Standard Mine remediation project about five miles west of Crested Butte had accidentally spilled some wastewater into the town watershed. Originally estimated to be no more than the 2,400 gallons that would be run through the vacuum truck sucking water from a holding pond to Elk Creek, that amount has been reduced to between 500 and 600 gallons of water and sediment. All signs indicate there was no negative impact to Coal Creek or the town’s water supply, but complete testing results will come back within a week. The town of Crested Butte contracted with Alpine Environmental Consultants, LLC to independently test the water in the creeks and the company took water and sediment samples on both Friday, October 9 and Saturday, October 10. The data has been submitted to a laboratory for analysis and full results are expected later this week. According to Ashley Bembenek of Alpine Environmental, who is also the Coal Creek Watershed Coalition technical coordinator, the sediment that was accidentally pumped into Elk Creek travelled about 1,800 feet downstream of the holding pond and where the work was being done. “The depth of the sediment was typically less than half an inch and did not cover all of the substrate (cobbles, rocks, etc. ),” Bembenek said. “Sediment was not observed downstream of the upper reach of Elk Creek. At the town’s drinking water supply diversion, the grey sediment was not observed in the structure or in the adjacent streambed. According to the EPA, the pond was constructed to retain sediment, pulverized un-mineralized rock from drilling operations, and water discharged from the lower mine adit of the abandoned Standard Mine. The water contained in the sediment pond had been treated to reduce acidity to neutral pH levels and was being discharged to Elk Creek as part of planned maintenance activity at the site. The release occurred when a vacuum truck siphoning water from the surface of the pond dipped too low and siphoned sediment material from the bottom of the pond, leading to the discharge of the sediment and grey-colored water to Elk Creek. The material released to the creek contained a mixture of pH-neutral pulverized rock slurry and water from the mine. The EPA has been conducting work on the abandoned mine, located above Crested Butte on Mt. Emmons, to stop it from leaking heavy metals into the town watershed. “Following additional investigation of the details of this release, EPA has revised the estimate of the volume of this release from 2,000 gallons to between 500 and 600 gallons,” explained Lisa McClain-Vanderpool, public affairs specialist for Region 8 of the EPA. Crested Butte public works director Rodney Due said the EPA notified them of the accident Tuesday afternoon about 4:30. After doing the math, Due said based on the information received, the town wasn’t too concerned about a contamination of its water. “We knew the impacts of the spill on the town’s drinking water was negligible from the information we received from the EPA on Tuesday,” emphasized Due. “Elk Creek is flowing about four inches per second, which means it would take this water at least six hours to reach Coal Creek. Any ‘sludge’ settled out within the first 1,800 feet and we are having that tested and analyzed by Alpine Environmental. The only question we had that night was would there be any impacts on the town’s drinking water as a result of 2,000 gallons of alkaline water,” Due continued. “Alkalinity neutralizes acid, which is the concern with acid mine drainage. This water would have been neutralized before it ever reached the confluence of Coal Creek. After the water reaches the confluence, the water mixed with the 7 CFS [cubic feet per second] of water flowing in Coal Creek. It then runs another couple of miles to our water intake, where 1 CFS is being diverted through another couple of miles of pipe into a 10-million–gallon reservoir. Of that water, approximately 159 gallons per minute is treated through micro-membranes at our water treatment plant. That is why the decision was made not to close the town’s water intake. Contamination was not a concern,” Due concluded. In an October 8 statement from the EPA headlined “Standard Mine Vacuum Truck Release,” the agency said local and state governments were notified right away. 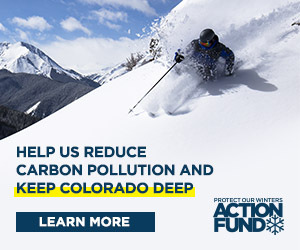 “EPA immediately notified the town of Crested Butte water treatment plant and [notified] the Colorado Department of Public Health and Environment spill hotline that an EPA contractor dewatering a sediment pond into Elk Creek at the Standard Mine Superfund Site released an estimated 2,000 gallons of water and sediment into nearby Elk Creek,” the statement relayed. The CCWC is monitoring the situation closely, and despite initial comparisons to the Gold King Mine accident by lawmakers, the organization is pleased with the EPA response.